Silver Satin Evening Dress | Sung Boutique L.A. 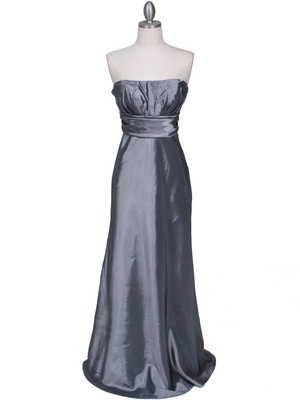 This stunning satin evening gown features deep V-neck line. Rhinestone and silvertone beads detail the front. Crisscrossed straps detail the open back. Slight train. Matching shawl included.